PATNA: Bihar is currently ruled by the Grand Alliance (GA) government comprising three parties—Rashtriya Janata Dal (RJD), Janata Dal United (JD-U) and the Congress—but the JD-U is extensively trying to take all the credit for imposing total prohibition in the state. That is despite the fact that Lalu Prasd-led RJD with 80 seats in the Bihar assembly remains the biggest constituent of the Grad Alliance which rules the state. “Total prohibition in the state is completely the decision of chief minister Nitish Kumar which will bring pleasing changes in the state,” JD-U spokesperson Rajiv Ranjan Prasad told the media today. Another senior leader and party’s national general secretary Shyam Rajak said chief minister had emerged as a overnight hero by taking this historic decision. “Nitish Kumar has emerged as a ‘real star’ by taking the bold decision. It will usher in remarkable social changes across the state,” opined Rajak, daring Prime Minister Narendra Modi to impose total prohibition in the country on the pattern of Bihar. Yet another party spokesman Neeraj Kumar said the decision highlights the fact that chief minister delivers what he promises. “The ban decision proves the chief minister fulfills what he promises the masses,” Kumar asserted. Strangely, none of the of the JD-U leaders sought to project the total liquor ban as the “collective decision of the GA government” or give even a little credit to its partners, the RJD and JD-U without whose support the Nitish Kumar government can’t be imagined. The JD-U has only 71 legislators, nine less than the RJD, whereas the Congress has 27 legislators. 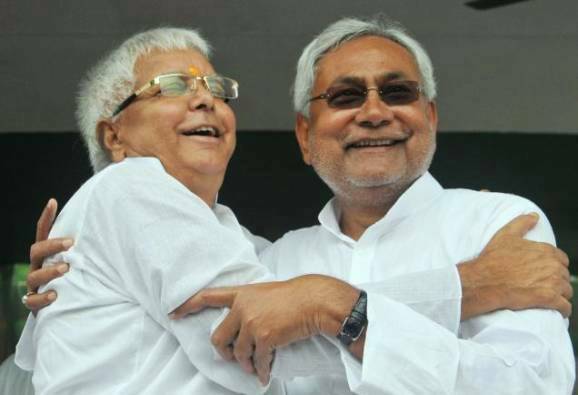 Although the RJD not reacted over the issue, the move has the potential to further sour the relations between the two partners who joined hands together to stay afloat in the state politics shortly after facing humiliating defeat in the 2014 Lok Sabha polls where they together won six seats (four RJD and two JD-U) out of total 40. Some recent developments in the GA now indicate both the partners are trying to chart out a separate course in the state politics though they stay together in the government. Last month, the Bihar government had issued an advertisement in local dailies featuring only the picture of deputy chief minister Tejashwi Prasad Yadav, son of RJD chief Prasad, but no photograph of chief minister Nitish Kumar went with the advert. The advertisement announcing the inauguration of a GPS-based road ambulance in Patna was issued by the Road Construction Department of which Yadav remains in charge.